Robert Blumen: There has been tremendous growth in interest in Austrian economics among financial professionals. 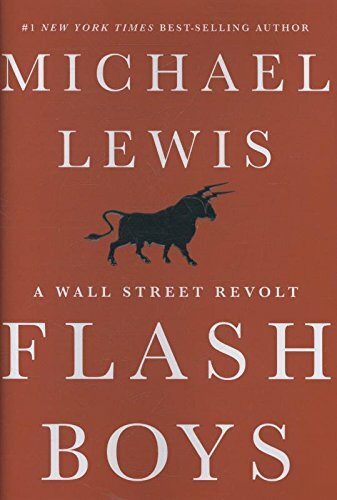 I started an Flash Boys Michael Lewis Best Price: $1.70 Buy New $4.49 (as of 07:00 EDT - Details) interest group for Austrians in Finance on LinkedIn which, in a few years, has grown to almost 2,000 members from the US, South America, East, Southern, and Central Asia, Africa, and Eastern and Western Europe. Peter Schiff appears regularly on financial shows. The Mises Institute drew hundreds of people from the investment world to an event in Manhattan. Since 2002, a number of Austrian-themed books in financial economics have come out. Alongside titles from established writers such as James Grant, there is Detlev Schlichter’s Paper Money Collapse, and several books by Peter Schiff. There are many popular Austrian bloggers such as Grant Smith and Robert Wenzel. Over two million viewers watched a 2006 video in which a parade of condescending media hosts heap ridicule on Peter Schiff, who, to his credit, did not back down in the face of their smugness. MI: Did the financial crisis of 2008 help increase the sympathy for Austrian economics? RB: I have heard the same story from many people in finance. When the bust of 2000 (or 2008) happened, it did not fit what they had been taught in school, nor could it be explained within the belief systems of their colleagues in financial markets. 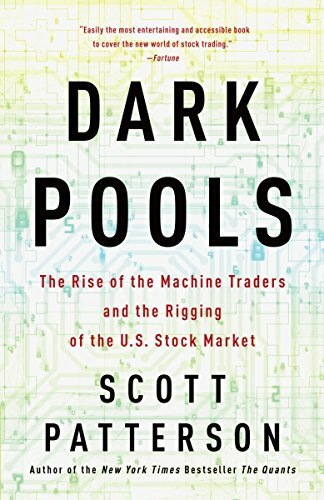 Their next step was Dark Pools: The Rise o... Scott Patterson Best Price: $5.52 Buy New $9.50 (as of 12:55 EDT - Details) reading, searching for answers, and then, finding the writings of Mises, Hayek, or Rothbard that enabled them to make sense of what had happened. To answer your question, yes, I think that the failure of the popular economic theories — evidenced by these inexplicable crises — has driven the search for superior ideas. The Mises Institute has been publishing for years, explaining these boom and bust cycles with Austrian economics. When people searched, many of them ended up at mises.org. MI: In spite of lackluster growth on Main Street, Wall Street appears quite happy with growth over the past two years. For the casual observer, one might argue that the Fed has managed things well. What do you see as problematic with the current approach, and are there some in the finance world skeptical of the Fed’s current strategy? RB: The Fed has a series of mistaken theories supporting their belief that higher stock prices indicate the success of their policies. There is no systemic economic benefit to any particular value for stock prices. Young people saving for the future and entrepreneurs who are looking to pick up capital goods at bargain prices would find lower stock prices give them a better deal. This is the same as for any good. 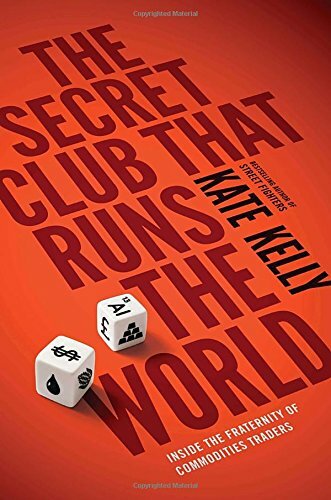 Their second error is that higher stock prices create a “wealth effect,” in which people see their asset values rise, feel richer, and consequently save less and spend more. Their goal is to boost consumption through pumping up asset prices. As Keynesians, they are all in favor of this because they think that consumption drives production. Sound economic thought has recognized, at least since the classical school, that production must precede consumption, and that production drives demand, not the other way around. The Fed understands none of this because they have no understanding of the purpose of capital goods in the production process, which is to increase the productivity of labor. And finally, they see the stock market as a sort of public referendum on their policies. 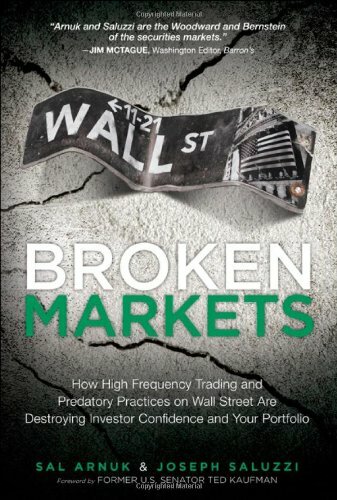 They point to the stock market and say, “see, the market approves of what we are doing.” But when you realize that through its monetary expansion, the Fed itself is responsible for the rising stock market, that calls into question whether we can use it as independent measure of public opinion, or instead, the Fed voting for itself with money that it prints. Austrian-informed financial thinkers understand this. There are hundreds of Austrian-oriented blogs and commentary sites, as well as some excellent heterodox sites with a very Austrian-friendly perspective such as Zero Hedge, Jim Rickards, Marc Faber, and Fofoa. MI: We’ve mostly been talking about the US so far, but speaking globally, do you see any areas that are of particular concern, such as China or the Euro zone? RB: Credit allocation in China is not market-based. They import the Fed’s inflation through their currency peg, which diverts dollars into their sovereign wealth fund where it is “invested” by bureaucrats in various forms of dollar-zone assets. Their domestic savings go into their banking system, where it is wasted on politically-favored projects due to non-market allocation of bank credit. The entire system is experiencing a series of bubbles in real estate and other sectors. Their rate of infrastructure spending for comparably developed economies is about twice as high as normal. This is because the communist party officials are under great pressure to hit GDP targets — as if prosperity could be spent into existence by hitting a number. Infrastructure such as roads and empty cities present an opportunity to spend a large amount of money, all in one place, on a lot of Very Big Stuff, which under market-based economic calculation would be revealed as wasteful. The problems in Europe are a combination of the massive debts that can never be paid back, the unfunded entitlements, and the growth in the burden on producers, a theme that I addressed in my recent Mises Daily article on Say’s law. This burden consists of the totality of regulation, taxation, inflexible prices and labor markets, and the threat to the confiscation of wealth. If you project these trends into the near future, I’m not sure where the lines cross, but the system is clearly unsustainable in its present form because it relies on sustaining current levels of consumption as fewer and fewer people produce. Previous article by Robert Blumen: What Is Key for the Price Formation of Gold? War is the Health of the…Economy?